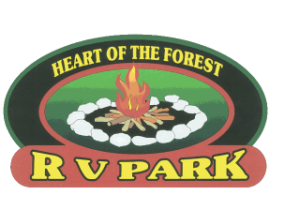 Heart of the Forest RV Park offers large level sites with 20/30/50 amp service, sewer, water and pull thru's. These sites will accomodate most large rigs with multiple slide-outs and a vehicle. We also have rustic and electric only sites. 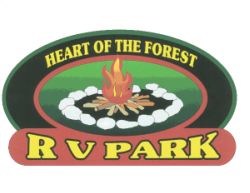 Walk from the NW corner of the campground to Fawn Crest Golf Course. A beautiful nine hole course! New owners,reasonable greens fees and memberships.